Welcome to the Pyro Spectaculars by Souza Operator Training Portal. 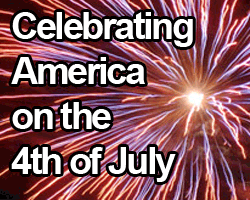 Learn how to shoot fireworks safely and professionally with us! Welcome to the Getting Started with Pyrotechnics. 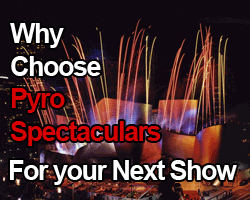 We're excited to help you get involved in pyrotechnics and special events. This course is intended to give you enough knowledge to be effective on your first fireworks show. Please read the articles and watch the videos below. This course is intended to be completed from the top down. You should complete the section Safety & Tools First and Electrical Firing Last. When you have successfully completed a quiz the next quiz will be unlocked. When you have successfully completed all the quizzes you can access the course certificate in Module 4. Welcome to the Training Course - Rank One. We're excited to help you get involved in Pyrotechnics and Special Events. The purpose of Rank One is to prepare you with the required knowledge needed to pursue your California Pyrotechnics License. Please read the articles and watch the videos. This course is intended to be completed from the top. You should complete the section Firework Show Setup first and California Firework Exam last. Once each quiz has been completed, the subsequent quiz will be unlocked. When you have successfully completed all the quizzes, you will be able to access the COURSE CERTIFICATE in Module 5. Complete all Training Modules and pass all associated written exams with a score of 90% or higher. Download and complete the field training checklist. Click here to download a copy. It must be submitted to Margo Lund. Must have obtained their Operator's License from the state. Welcome to the Training Course - Rank Two. We're excited to help you get involved in Pyrotechnics and special events. Please read the articles and watch the videos. This course is intended to be completed from the top. You should complete the section Pyrodigital Basics first and Advanced Pyro Knowledge last. 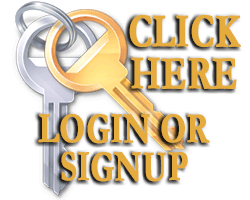 Once each quiz has been completed, the subsequent quiz will be unlocked. When you have successfully completed all the quizzes, you will be able to access the COURSE CERTIFICATE in Module 3.